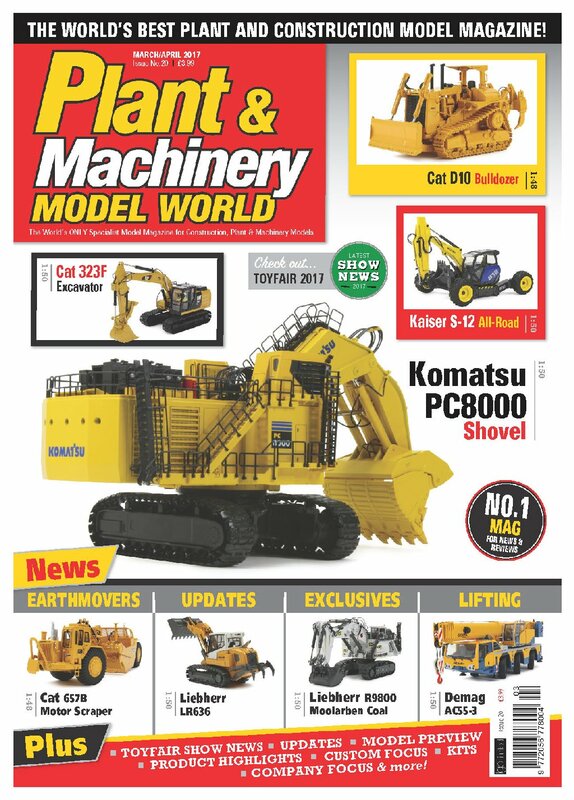 For this issue, there are a number of reviews featuring the latest models which will be hitting dealers’ shelves over the next 2-3 months including the long awaited diesel engine version of the mighty Komatsu PC8000 shovel from Bymo. I also take a look at a number of new releases from Classic Construction models and several specially commissioned models from Quarry Diecast Models in Australia. 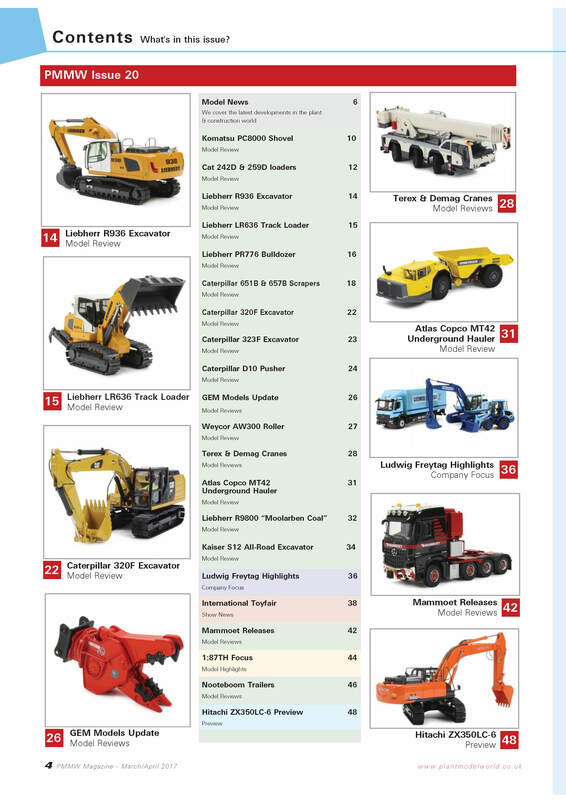 For full details of the reviews and features, check out the contents page on the right.